I’m sitting on a broken plastic stool in the streets of the Pudong District of Shanghai, China. Trash litters the ground, beer bottles and leftover skewers decorate the sidewalk. Friends are crowding the dirty table with a stack of food we just bought for 20 RMB, about $3.50. So why am I here? That’s not an existential question. I mean literally why am I in this exact place? Who claimed this spot as a place to sell street food? Who got dibs? 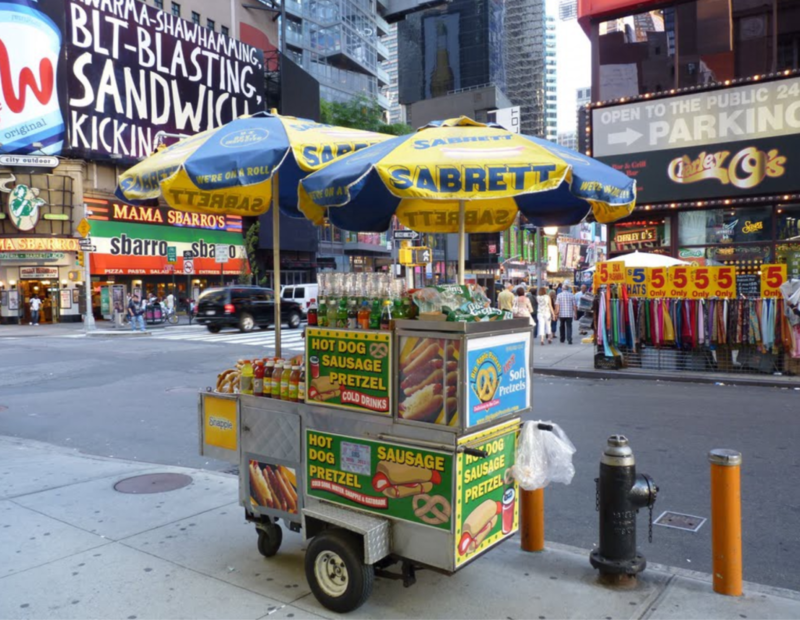 We’re all familiar with the hot dog stands of American cities, the Halal carts that roam the streets of Manhattan, and the food trucks that crowd the streets where yuppies exit their 9–5 for their lunch break. Long story short, a good number of these mobile food businesses are licensed in the U.S. But, in Shanghai, as we learned from our first hand interaction and experience, it’s a whole different game. That’s the area we are examining. 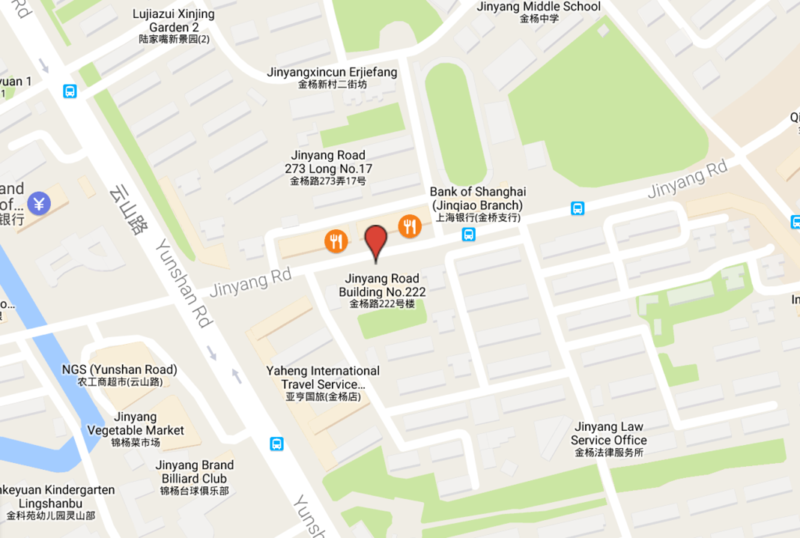 Located on Jinyang Road in Pudong. It is a walled off area (about seven feet tall) that spans for about a block. Along the wall are four separate entrances that people can walk in and out of. What makes this little enclave interesting is that only lines of street vendors operate in this empty space, from the morning vendors to the night vendors, and nothing else. Even by looking at the space from across the street the walled area, which is referred to as Jie Dao, it seems out of place as there are apartment buildings surrounding it from both sides and behind it. Jie Dao : Zoom Out! How did these vendors come to own their spots and in what ways? Who or what allows them to work in that specific spot? Do they pay? Why does this concrete wall & enclave exist in the first place? Watch the videos to follow our story, or read along. Your call. Asthey say here, guanxi, or relationships, means everything in China. Which is why we went back to the first person we had guanxi with — the friendly skewer man in the bright yellow jacket with letters scrawled all over it. We went back, bought a few skewers, explained to him this time in more detail what we were trying to do and why we were asking the questions. However, we learned that even having guanxi doesn’t mean you can always get what you asked for. When we were there, the rain was coming down on us and our friendly skewer man in the bright yellow jacket was beginning to move his shop. He moved from the inside the walled area to outside, near a bus stop, making it hard for him to give us detailed answers. Why the sudden shift? He told us that business is better outside of the stop after 9pm. Other vendors also followed suit. In the end, he was uninterested and had given us the same answers from last time. We moved on. This was great because it was at least something that we could possibly use to give us historical context of the Jie Dao area. We asked why Jie Dao still exists in 2015. Prime real estate on the street and instead you have 8 vendors on it? They didn’t seem to have an answer. The man said it could be a dozen reasons why the government still allowed Jie Dao to run. 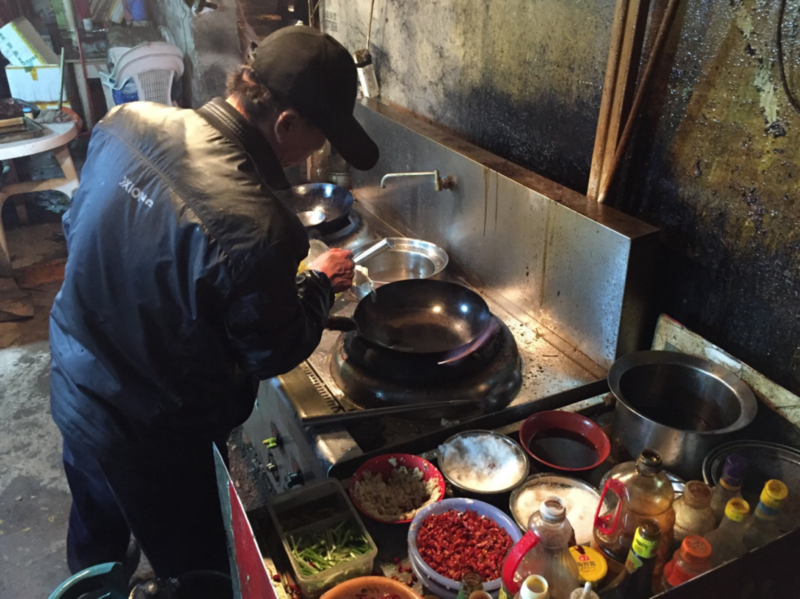 We also came across another street vendor, but this one seemed like a more permanent location, since it took up more rooms with tables and cooking-ware. It was a group of people, a mix of what seemed to be regular customers and friends. While talking to them we got an answer, but a very mixed one, from a man in a black cap. As we continued to ask him, he began to deflect questions by answering that Jie Dao existed because of historical reasons and that there were many complexities to it, also saying that there wasn’t a sole reason why it’s allowed to operate. We got this response time and time again. For some reason, people weren’t comfortable talking. Maybe a bunch of foreign kids with a camera in their face is enough to keep them clammed up. However, in the end, we didn’t get the answers we needed. We were skeptical about the answers we received, we still didn’t know how the walls came to exist, and we still didn’t know who allowed for these vendors to be here. Our night investigation came to a close, and we knew we had to give it a second shot. Short. But bear with us, we’re starting to get somewhere. Despite the short reaction, we at least came to the assumption that the morning and night vendors operated differently. Whereas the night vendors seemed to work individually and separately from the rest of the vendors, the morning vendors seem to somehow be unified in someway. We still needed more. Things get good for us with morning street food vendor #2: fried dumpling man. 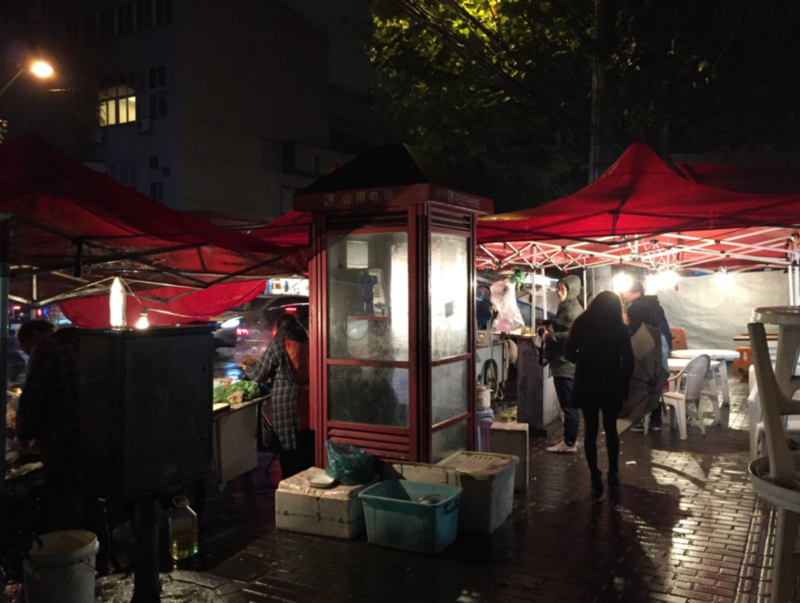 With a combination of a red cap and red vest, he tells us that the person who organizes these morning vendors is the “Jie Dao ren”, otherwise known as the group leader or lingdao ren. But, at the same time this lingdao ren is also apparently part of the municipal government. When we asked if he had to pay the government to keep his morning spot, he said that no, he just had to pay a cleaning fee which meant that someone would come by and clean the area within the walls daily. With this in mind we asked ourselves, who was this lingdao ren and is he really associated with the government or is he someone that just comes around every so often to ask for money like a playground bully? We move on to street vendor #3: smiling man who sells tofu. From this guy, we learn from his version of the story that these vendors don’t pay the lingdao ren. Instead they pay the government. At this point, we’re not sure who to believe but we continue to try to gather more data and ask away. By this point, we were at a dead end. Smiling man who sells tofu vendor wouldn’t tell us anymore and started to speak in riddles. And then, we hit our first goldmine. Boom. That was it. The electrical power plant (which was first built twenty years ago) that was behind Jie Dao is the reason for why this space exist. 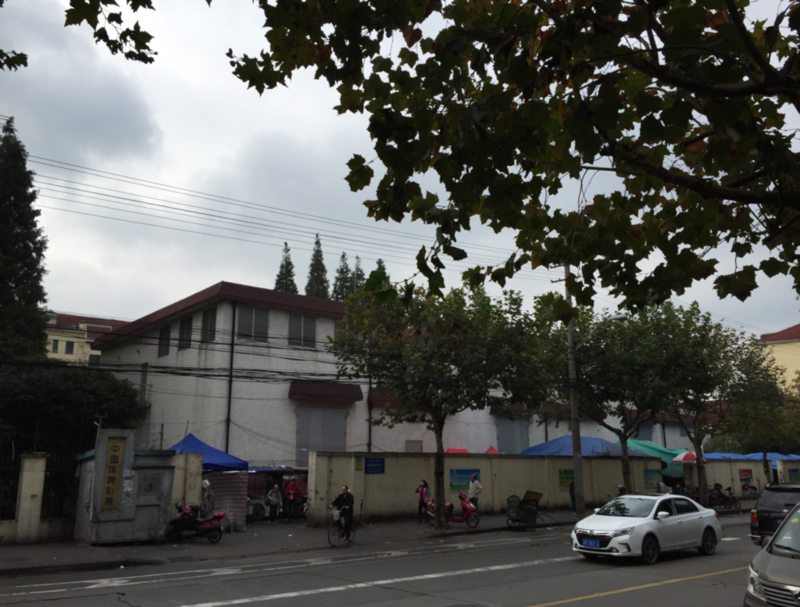 An apartment building couldn’t be built because it would be dangerous to be right next to the power plant so the government decide to utilize the space for street vendors, thereby keeping the street outside clean. Maybe it was a zoning error by the municipal government, or maybe the plant was central to the powergrid at that time. 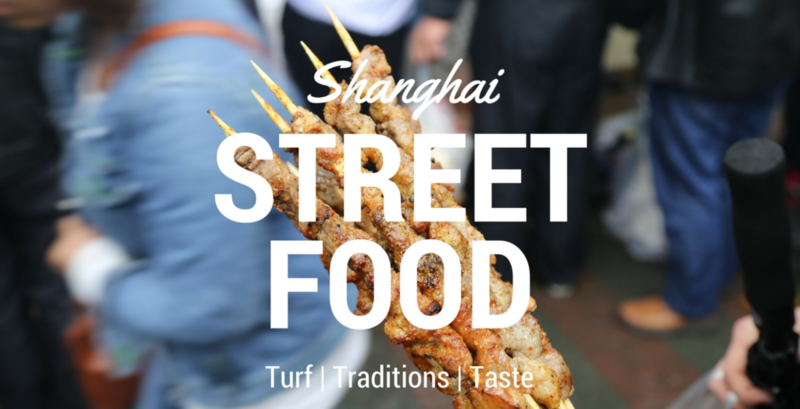 Either way, streetfood never tasted better than that moment. Street vendor #4 with the raspy voice selling noodles was the last person we spoke to that day and the one who gave us a clear-cut answer to how owning a spot operated here in Jie Dao. There’s no real conclusion. “Real conclusion” meaning no definitive, science-based fact. But that’s also why this research is valuable. 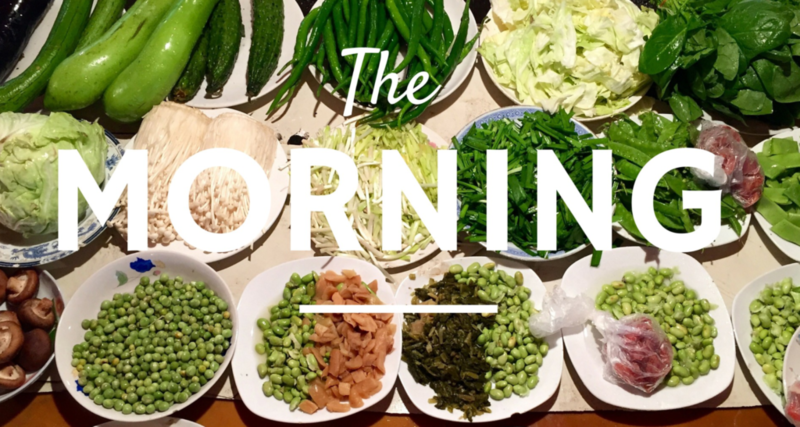 We can offer hypotheses and possible answers, based on the number of responses we’ve collected between the night and morning market of Jie Dao. How we decided what responses we’re valid were simply based on which answer was repeated the most, or seemed to be reasonable. 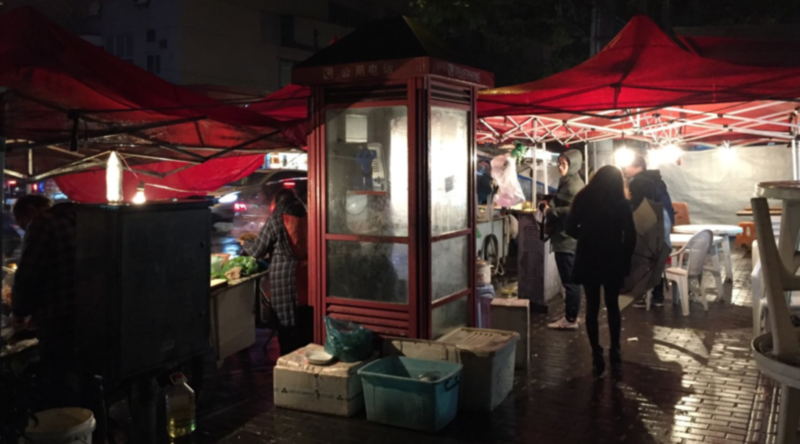 The vendors seem to be able to secure their physical spot in two ways: one, to already be an established vendor within Jie Dao who’s been working their for years, or two, move into the walled area when a vendor leaves. When it came to who allowed these vendors to keep their spot, it was a bag of mixed answers. however, our hypothesis is that if you were a vendor that had a more permanent spot, then you didn’t have to pay anyone (based on the answers from street vendor #3 & #4). However, if you were a mobile vendor, it seemed that there was fee to pay to either the government or lingdao ren.